Much of what occurred in Killing Ground requires investigation and that occupies the early pages. 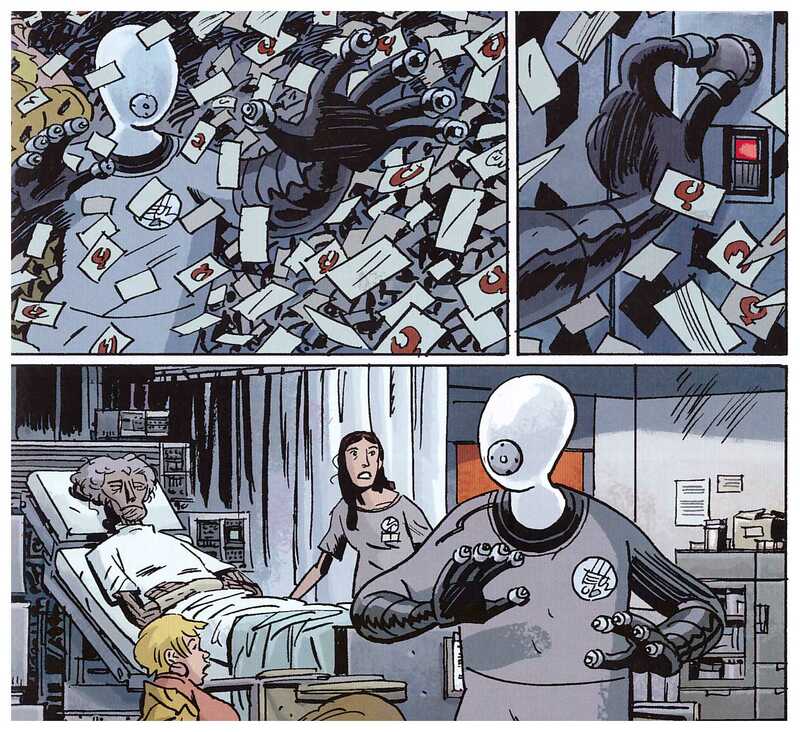 Abe leads a search for Daimio, while others join forces attempting to comprehend how the ghost of Lobster Johnson manifested. That has surprising results and ties into what’s being investigated elsewhere. Johan is back in his previous containment suit as the B.P.R.D. staff are unable to duplicate the technology found in Indonesia, and Liz continues to be troubled by the visions she’s being fed. Guy Davis’ art again appears effortless, and he won an Eisner Award for it when the original comics were published. With Johan having no facial features he’s characterised by gesture and posture, whereas the entirely the opposite is required for Panya, confined to a bed. His designs for Memnan Saa both past and present are extremely creepy, and when some expansive action moments are required he delivers them also. The wonder of this volume is how it escalates from a relatively quiet start into something that’s entirely unexpected. The narrative is fragmentary, with small moments referencing much of what preceded this volume. 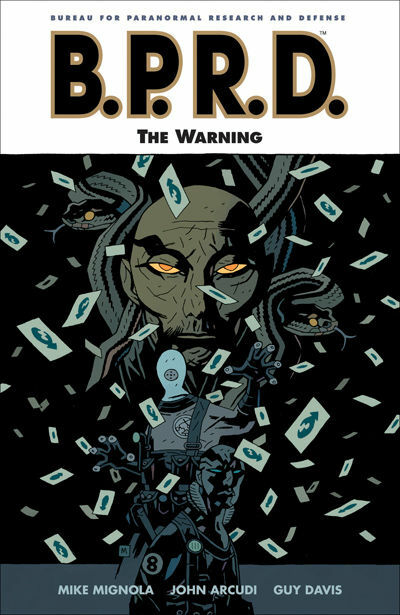 It also supplies a glimpse into how an organisation like the B.P.R.D. would operate, and occurs over three continents. 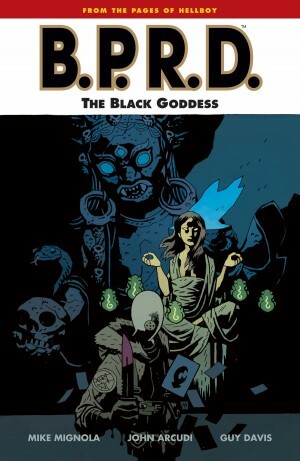 As Mike Mignola and John Arcudi continue plotting it’s clear they have a bigger picture in mind, and elements almost incidental here have consequences further down the line. 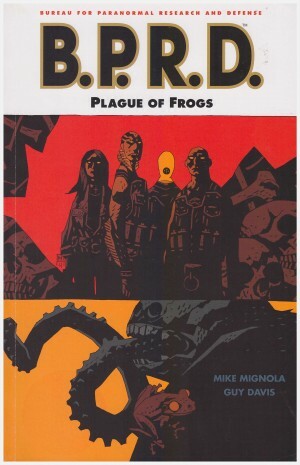 In his afterword Arcudi notes the correlation between the book’s title and the events within, and indicates this is but the first step and no-one should accuse Mignola of not thinking big. Much has changed by the end of this book. 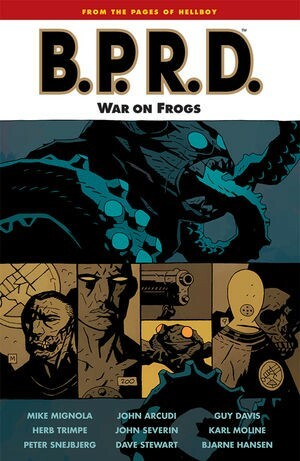 The B.P.R.D.’s understanding of events has broadened considerably, and their capability to deal with them has diminished. 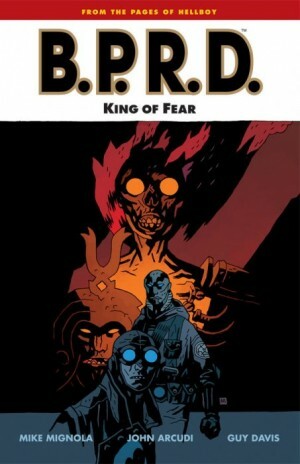 The story is continued in The Black Goddess, which is collected along with this volume and King of Fear in B.P.R.D. Plague of Frogs volume four.